Marks & Spencer offers quality across its range of products, whether customers are shopping for clothing, home products or luxurious food items. Compared to its competitors, M&S does not have as many physical stores and this can often make it difficult to get the products that you need. Travelling across town to get that one specific product can seem like overkill. But now, you have Pinga. Whatever you need from M&S, you can have it at your door in a matter of minutes. Looking for that meat box to throw the perfect barbecue or craving that sticky toffee pudding? We can take care of your needs. Getting started is incredibly simple. Just download our application and dispatch your request to our network of trusted Pinga Partners. You will receive an immediate response and clarify the details before paying through the app. Now it’s just a matter of waiting for your M&S goodies to arrive. When you shop with Pinga, we do not have an unrealistic minimum order amount in place. You simply order what you need and nothing more – don’t worry about inflating the size of your basket for no reason. Simple, swift and secure, our users love ordering from M&S via our service. Our Pinga Partners are professional and courteous, ensuring that your product is safely in your hands in a flash. Our team can take care of any request from M&S or even beyond. If you need supplies from another supermarket or store, we can take care of that for you. Pinga delivers any items from Marks & Spencer today. 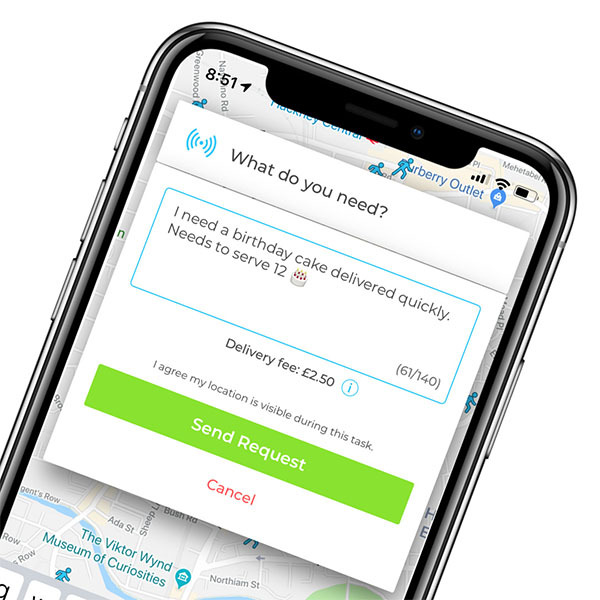 Infact our service normally delivers within an hour, so if you’re looking for same day delivers from Marks & Spencer, send your request via the Pinga App. Describe what items you needs to be delivered from Marks & Spencer and send your request. Pay securely within the app and receive your Marks & Spencer items to your door!